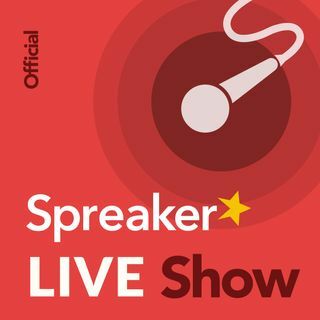 Mid-Rolls are available on Spreaker NOW in CMS - Get them while they are HOT! “Build it or record it and distribute it and they will come” approach is not working very well these days. Distribution is not enough, it get you to the starting line towards audience development, but much more to do. Even if your show art is great and the title is really catchy, it’s still swimming in a sea of many, many, many other audio fish. You are the unique difference with a little hard work! Podcasting comes with many demands on our time. Those of us that do it are preoccupied with worrying about how to monetize, checking our stats, editing our show, lining up guests to interview, writing for the next episode, keeping up with the industry itself, learning about new hardware and software, and trying to get ratings and reviews. Building a base of listeners is not easy!!! Here are 21 areas to think about and possibly apply to your show promotion and marketing. Be sure to have a hook, though. Just being a podcaster and having what you think is a good show merely puts you in line with the other creators who are contributing to that 400 thousand number above. Give the host and/or producer a reason why they should interview you (and not the other podcasters). I devote an entire section of your website to showcase where I’ve been interviewed. Posting on YouTube gets you on the second largest search engine in the world, and thus a chance to be found by folks who might otherwise not come across you and your show. Press the flesh with a show card, because expecting people to remember that you have a podcast, what it’s called, and where to find it is not only asking a lot, but it’s a missed (branding) opportunity. At the least have a website address on there, but consider having your name, number, and email address as well. Mine is loaded, from the URL to icons for the platforms where my podcast can be found to social media. Mine goes out once a week – on the day that my podcast comes out. You have total control over the content, the length, and the frequency. Thanks to my Web developer, I don’t even use a paid service. But regardless of how you send yours out, just do something. In this day and age of our email inboxes being on the receiving end of newsletters from others, make sure you are active as a sender too. Become considered an expert in your podcast show genre and work to build reputation as an industry speaker at conference events, put on workshops. Put on your your show website that you can be booked to speak on a variety of topics related to your podcast topics. Get feature at podcasting events. But think local too. Yes,you should be promoting on social media, but not just on social media. Have one account dedicated solely to your podcast. Instagram. Facebook, Twitter, and LinkedIn about my podcast, but put other posts related to your podcast/business on those platforms too. On Instagram, post something every day of the week. Pull from show notes, pull out a great quote from guest or commentary, create an image for it on Canva, and voila, you have an Instagram post. These expose your show to not only the other nominees but to voters and readers who scan the list to see what podcasts are competing for a certain award. Before you know it they’re checking you out to hear why your show is a contender. Email the guest to let them know that the interview is out, the various links they can choose from to promote to their followers, and your social media handles that you’d like them to tag in their posts. There is a greater likelihood of them putting something up if you give them suggested text than if you just say, “Thanks again. I hope you like it.” You might even get new social media followers of your own! Be respectful on FB Groups and Google Groups. Before you know it, now they are promoting your episode for you! On website/blog and any relationships with content creators who which you can share written or audio content with to build win-win audience growing relationships. It can work to re-purpose content from the podcast to fill the eBook – include links throughout so that readers can click to go and hear the interview that what they’re reading to hear deeping conversations on that topic. eBooks can be a convenient workbook outline for audio listeners. “Wow, I’m glad you brought that up. That’s a lot like what I talked about with (guest’s name) back on Episode (number). Say, if you never heard that episode, go back and listen to my interview with (guest’s name). Compile in one episode – a number of past podcasts you put out, in such a way that the listener will want to go hear other episodes that you’ve put out. Let them know they have been mentioned on your show and ask them to share it, if the coverage was positive. When I do an interview on-site. Can use branded mic flags to promote my podcast during Live or recorded session.. I may have a solution to alot of what you guys were talking about as far as midroll is concerned. In the ad settings, i enabled pre-roll, you can also set it for no ads if you really dont want pre roll. Then, when i add a midroll to an episode, i select overide preroll and overide midroll settings. That way, i dont have to address my back catalog until im ready, theyll just have pre-roll until i make the time to change them. Also, when i edit a new show, i make sure to edit in an extra little few seconds gap in the spot where im going to put the midroll, like when i start a new thought. Finally, a really cool trick, if you have a live read, or just want to make an affiliate commercial. You can do a hard commercial break, that way if the midroll isnt there (spotify) theres still your live read, so it doesnt sound weird. We'll the honest truth is that the person running the editorial side in USA at Apple is from public radio and thus reason you are seeing those type of shows being feature most. Those shows also drive large audiences and large/popular shows tend to drive attention and that is what Apple is looking for when they feature shows. An ad may not always be included in your show, depends on advertiser campaign date range and insertion of impressions/downloads. I have a question about the mid-roll. Will you always get a mid-roll? For example, if you leave a purposeful spot for the mid-roll will it show up every time? Or sometimes it will sound odd because you just kind of prepared for a mid-roll ad and it's not there. Good afternoon fellas. Glad to have caught you live. Thanks for Listening to the Live episode today!